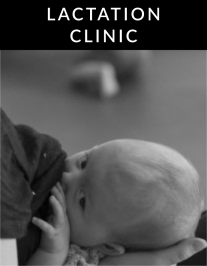 *These are part of the Combination Class – with Breastfeeding Basics – which is altogether 9:30 AM – 2:00 PM. **These classes are class #6 in the Comprehensive Childbirth Education Series, but all are welcome to enroll when room is available! This class isn’t just about teaching you how to breastfeed. First it focuses on what the first hour after birth looks like and explains in detail why that time period is so important biologically to breastfeeding. Then we discuss what normal, successful breastfeeding should look like, what might be wrong when it’s not going as planned, and the inherent rules of the breastfeeding dyad. Partners, who are strongly encouraged to attend, leave feeling like they know how to support the best possible beginning to breastfeeding, as well as struggles that may arise. Aside from handouts and a password-protected site for students to get even more resources and videos, families leave with a personal list of support cultivated in class together. All classes need a minimum of 3 families / couples enrolled, or they will be cancelled. So share online and spread the word!